Do you have a stain on your wooden floors you can’t remove? A scratch? Creaky Boards, that ruin its beauty? Maybe, it’s time for you to call a professional wood floor maintenance company. Floor sanding in Maida Vale W9 guarantees an immediate and long lasting effect. Erase the passage of time on your wooden floors with one single call at 020 3404 9697. The service is suitable for every type of wood and aging. Longevity: Our service promises a long, healthy life for all wood types. Increased Value: Well-kept wooden floors raise your real estate value. Great Look: No denying your flooring will be the envy of your friends. East to Clean: You don’t need to do much in terms of cleaning. They are effortless to maintain. 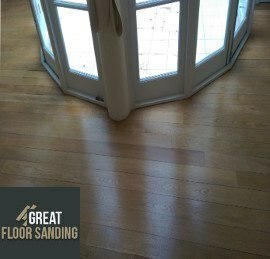 The floor sanding service you receive in Maida Vale is guaranteed. All teams operate the latest high-quality equipment that delivers precision in a matter of seconds and preserve your property – whether it’s your home or office – clean and dust free. Each member of the team has been BONA-certified and with more than 15 years in this business behind us, your floors are in safe hands! Convenient Wood Floor Sanding for You! Call 020 3404 9697 now and schedule a viewing of your floor. You can expect your personal quote 1 to 3 working days after. Our call center is available 24/7. You also have the option to make changes to your appointment up to 24 hours before arrival, and you can reach us via the Internet using our contact form and chat facility.